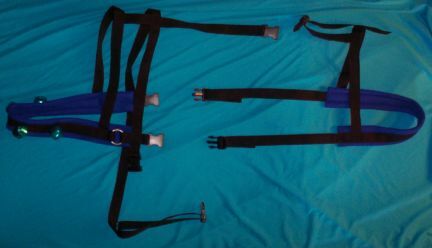 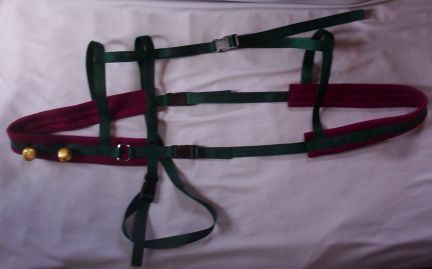 The Goat Wagon Harness you will receive will not been worn or tried on or been around any other animals. 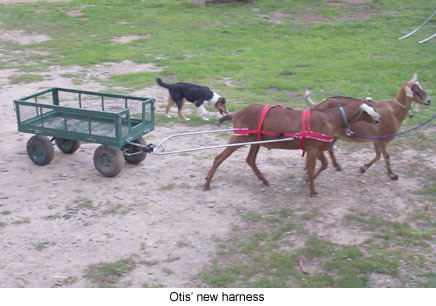 It will be handcrafted in our non smoking, NW SD - USA home with the measurements you send for your goat. 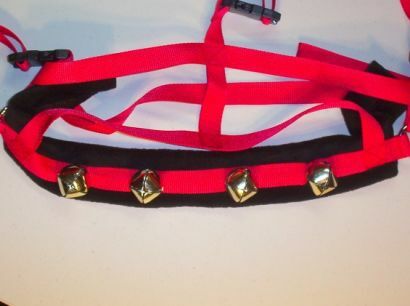 This one comes with four "sleigh" bells "woven into" the webbing on the chest strap.